FROSINONE - The team needed to get three points in Frosinone and did so. 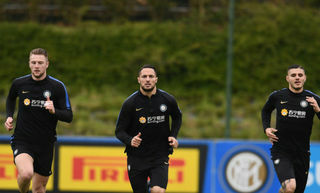 After dominating for large spells, especially in the first half, Inter left the Stadio Benito Stirpe with a 1-3 win on matchday 32 in Serie A TIM. The result keeps the side third in the table on 60 points with a 6-point lead over fourth (while waiting for the result in Atalanta vs. Empoli). Nainggilan, Perisic and Vecino scored the Nerazzurri’s goals while Cassata pulled one back for the home side. The story of the match was clear from the off. The home side sat back while looking to play on the break while the Nerazzurri controlled possession. After just a few seconds, Sportiello gave the ball away but Icardi was unable to get enough on his shot. In the 19th minute, Inter took the lead from the first real chance of the game. Politano played the ball out wide to D’Ambrosio whose cross met the head of Nainggolan as the Belgian applied the finish to a great team move that started from Handanovic. Frosinone responded with two efforts of their own through Paganini and Pinamonti but they posed little threat. Nainggolan almost extended the lead with his effort from the edge of the area. Five minutes later, the referee awarded a penalty for the Nerazzurri. Chibsah brought Skriniar inside the box when defending a corner. Perisic stepped up, sent the goalkeeper the wrong way and made it 2-0. Before the whistle, Icardi won the ball high up the pitch from Ariaudo, he played it through for Politano who burst into the box but Sportiello did well to deny him. The first half finished there with Inter up thanks to the Nainggolan and Perisic’s goals. The second half started without any changes for either side, yet with Inter still on the front foot. The 47th minute saw smart link-up play between Perisic, Politano and Nainggolan, although the latter couldn’t hit the target. Eight minutes later Frosinone looked to respond through Ciofani, whose header just missed the target. 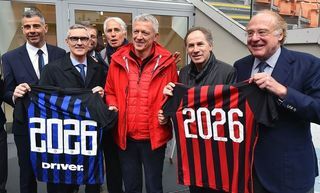 Their equaliser did then arrive in the 61st minute – the goal stemming from a ball from Ciofani for Cassata, who then struck a low and powerful drive past Handanovic. Boosted by their goal, Frosinone then threatened once again in the 69th minute, this time through Ciano who had replaced Cassata just minutes prior. The chance was from a set-piece, one that thankfully went just wide of the post. Spalletti soon opted to bring on some fresh legs, first with Keita replacing Perisic and then Gagliardini coming on for Borja Valero – the latter going off after taking a knock to his left thigh. The 81st minute saw some splendid play from Politano out on the right, with Asamoah’s cross then finding Keita whose header was deflected out for a corner. With Inter still pressing, Sportiello saved well to prevent Icardi in the 85th minute before the Argentine then missed a superb headed chance soon after. The latter stages saw Joao Mario replace Politano, with the Nerazzurri then wrapping things up through Vecino late on. The Uruguayan was the man to finish off an inch-perfect counter-attack – Icardi with the assist as the final whistle was soon blown on a positive 3-1 win. 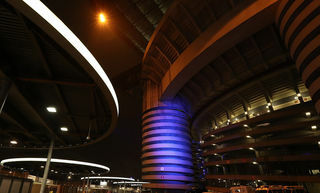 Two vital home matches now await Inter, the first at San Siro against Roma and then another one week later against Juventus.